I've 2 full reports to do and Monday is my 1st test on Biology! Damnit! Can't I drop biology?! Damn hate it!!! 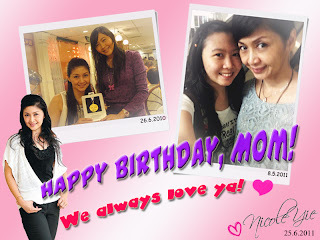 Wish my mom have a great birthday in Penang! We love ya always mom!